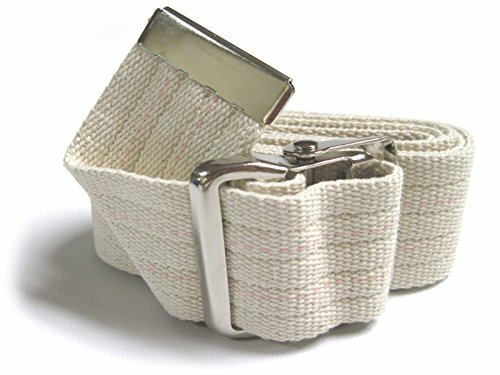 These gait belts are solid natural cotton with a rose stripe. JDM Medical's gait belts are designed to aid caregivers with transferring, walking, and ambulating patients who can walk on their own, but who may need some assistance. This product is made of 100% natural cotton, and has a metal buckle. It is a heavy duty, durable product that is machine washable. Made in U.S.A. by a certified veteran-owned small business.